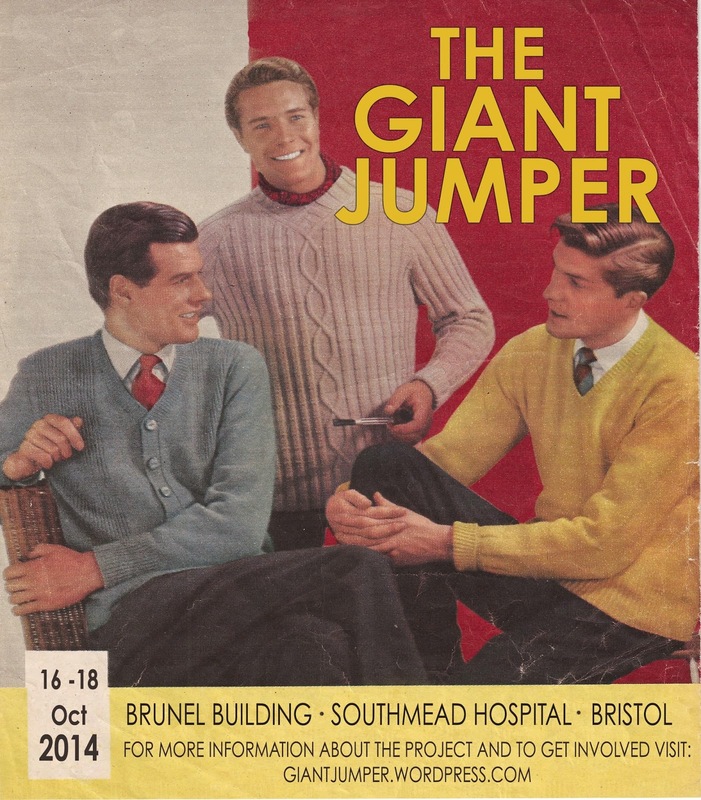 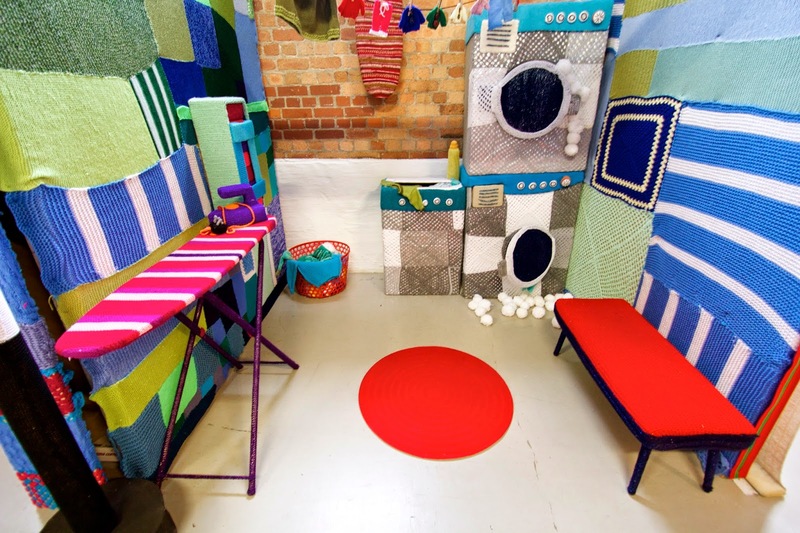 In October we contributed to 'The Giant Jumper' which was a part of the wonderful Fresh Arts Festival at Southmead Hospital, Bristol. 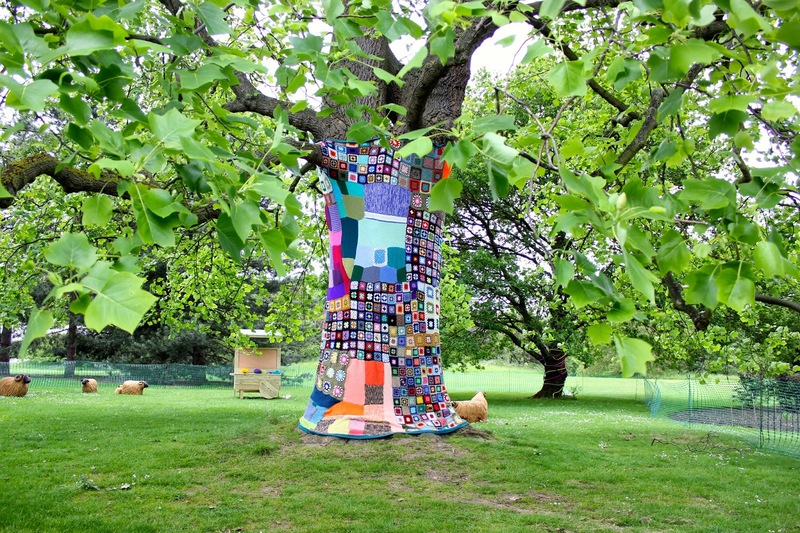 'A three day festival of arts events and activities involving patients, staff and visitors was the culmination of Southmead Hospital Bristol’s public art programme. 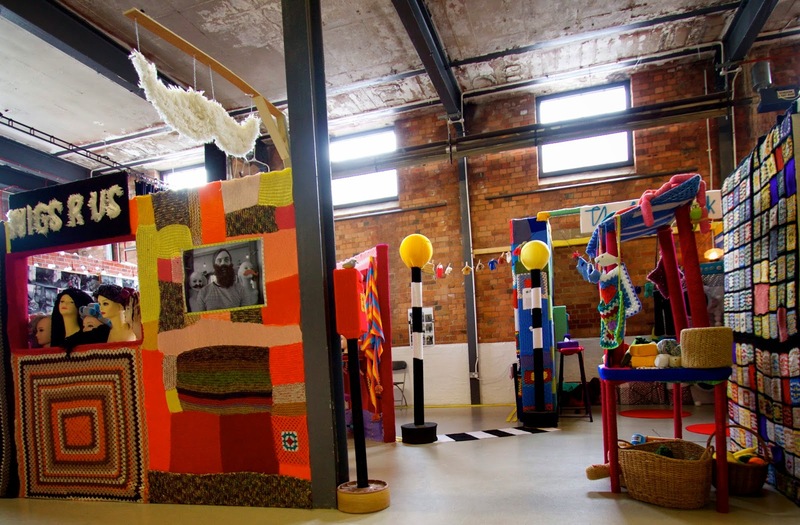 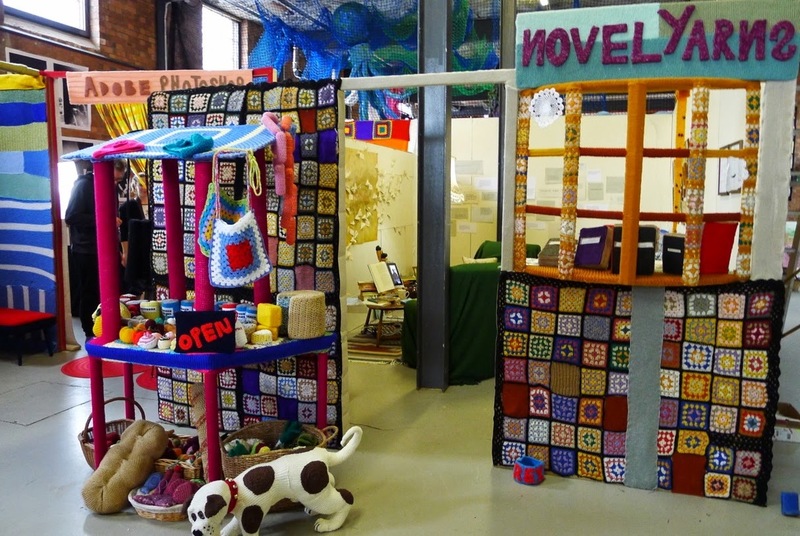 The Fresh Arts Festival brought poetic first aid, a knitting installation, model car racing, promenade theatre, music on the wards, and a programme of activities to celebrate the opening of the new building. 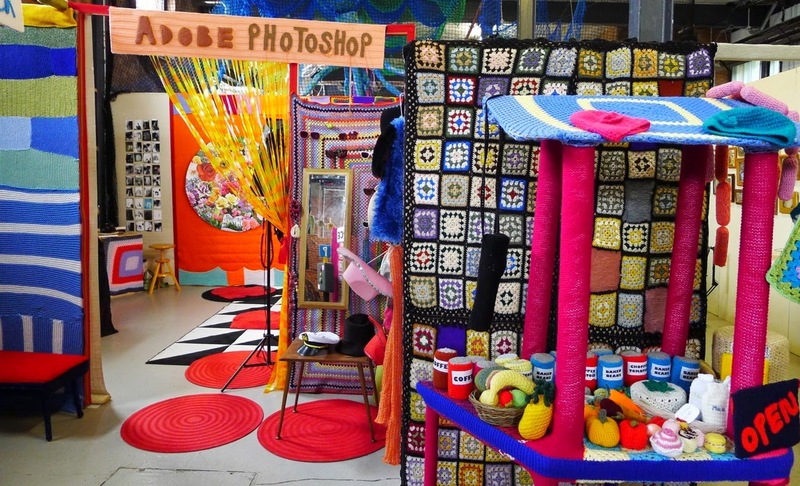 The festival took place in October 2014. 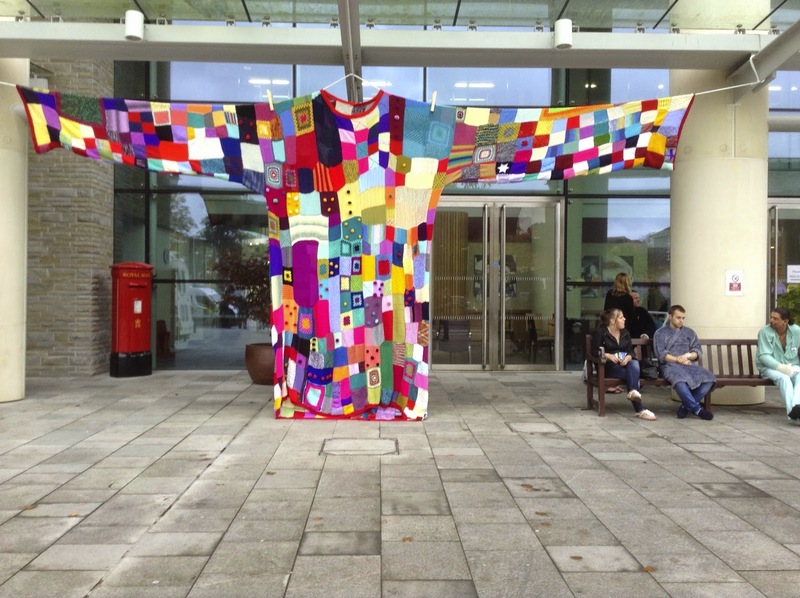 It celebrated the role of art and creativity in the new hospital and helped create a caring, creative community at the heart of hospital. 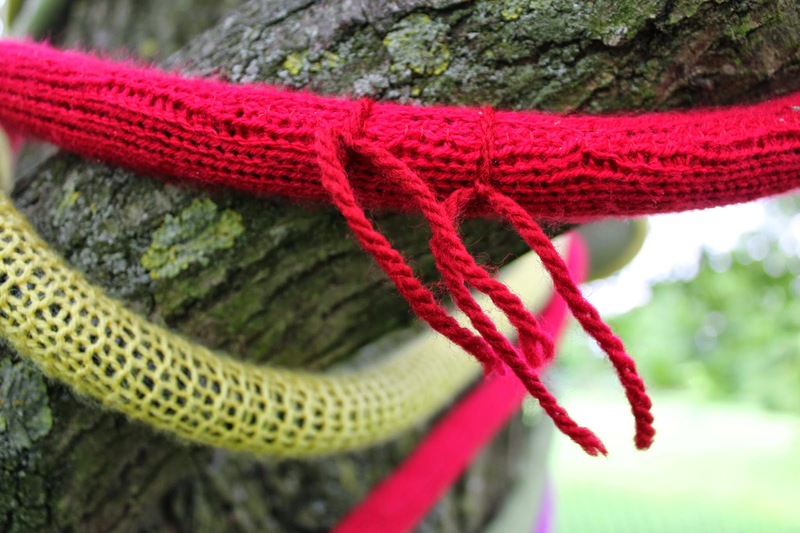 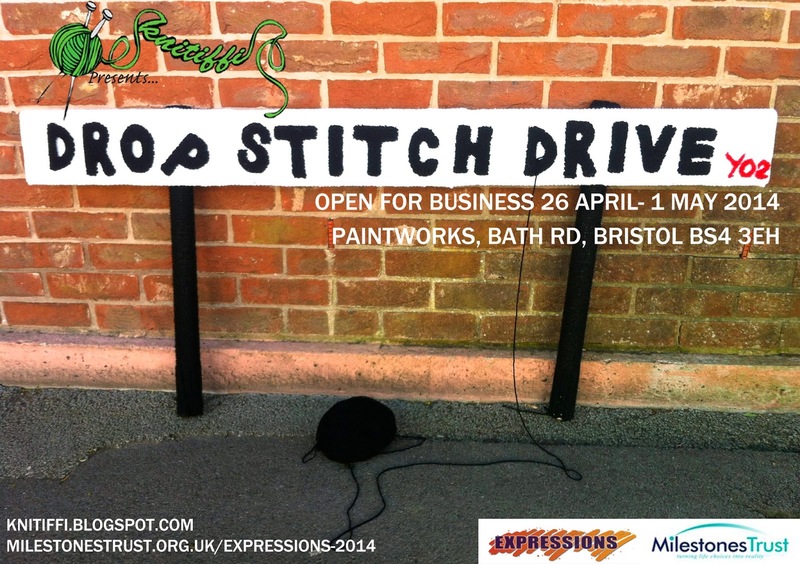 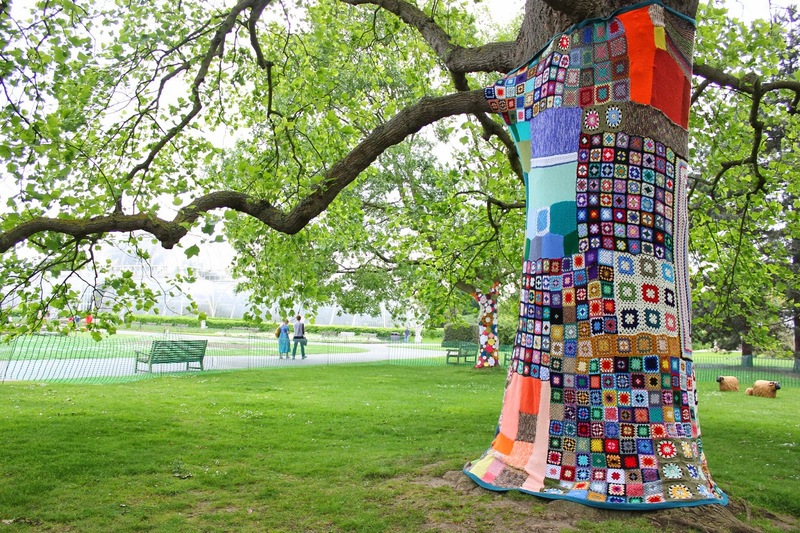 Knitiffi are contributing to the 'Giant Jumper' which will hang outside Southmead Hospital this October and are we busy knitting and crocheting squares. 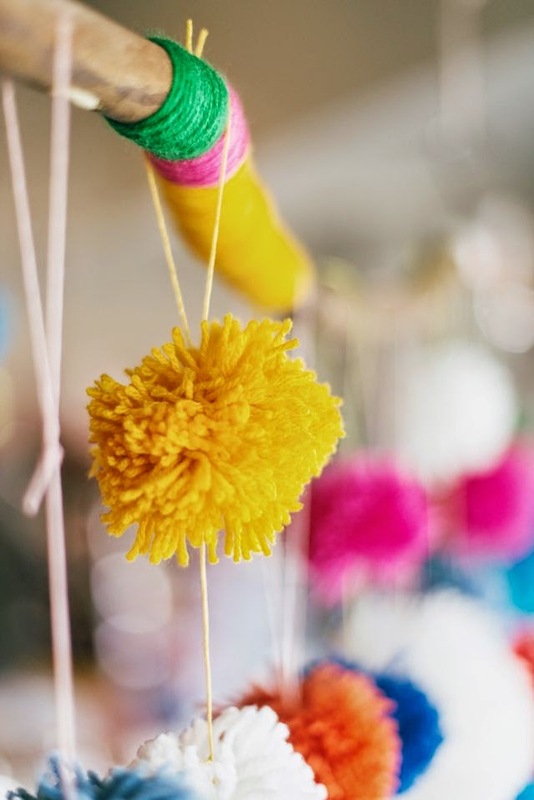 We are working with Cirque Bijou to create a 'Pom Pom Galaxy' at Bristol Harbourside Festival this July. 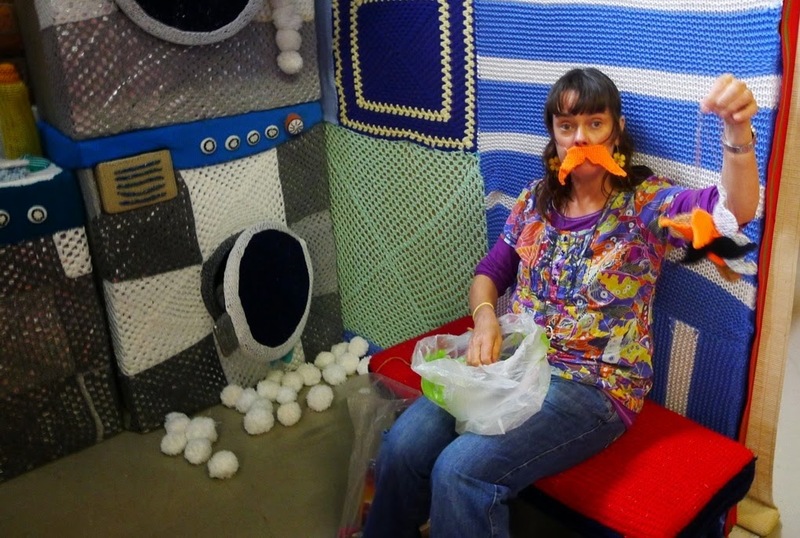 We are aiming to get as many people to create a Pom Pom Planet to contribute to the Galaxy. 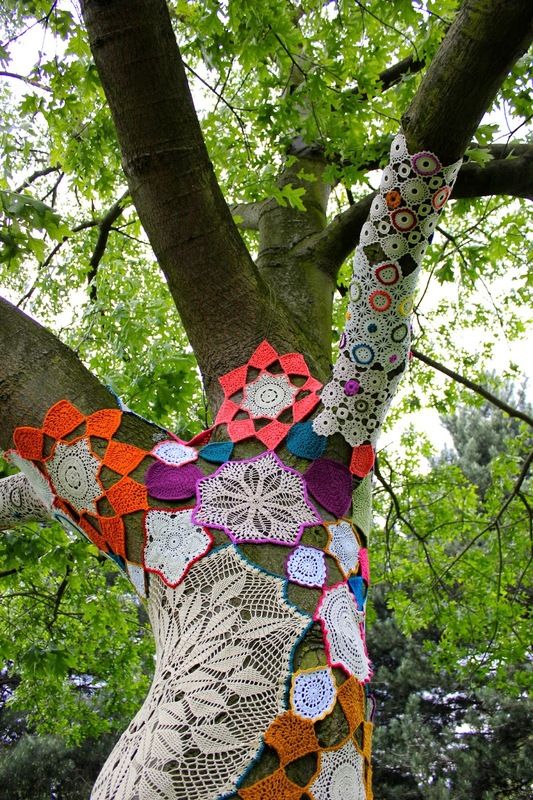 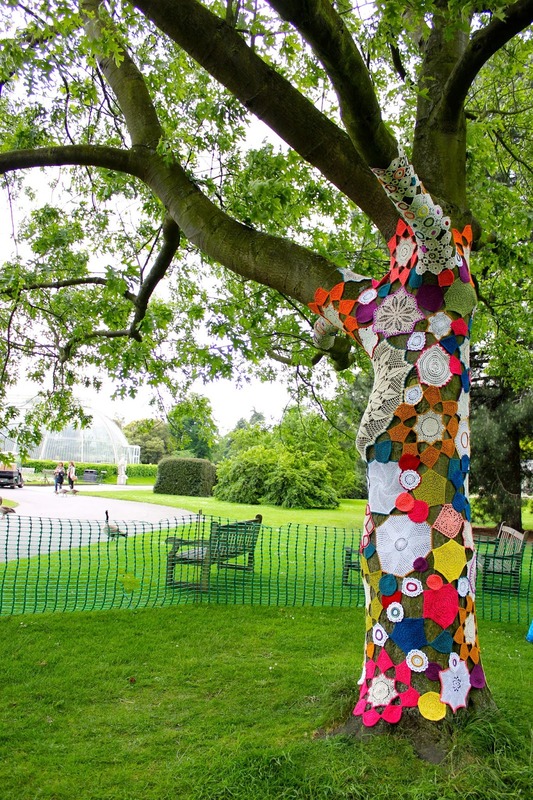 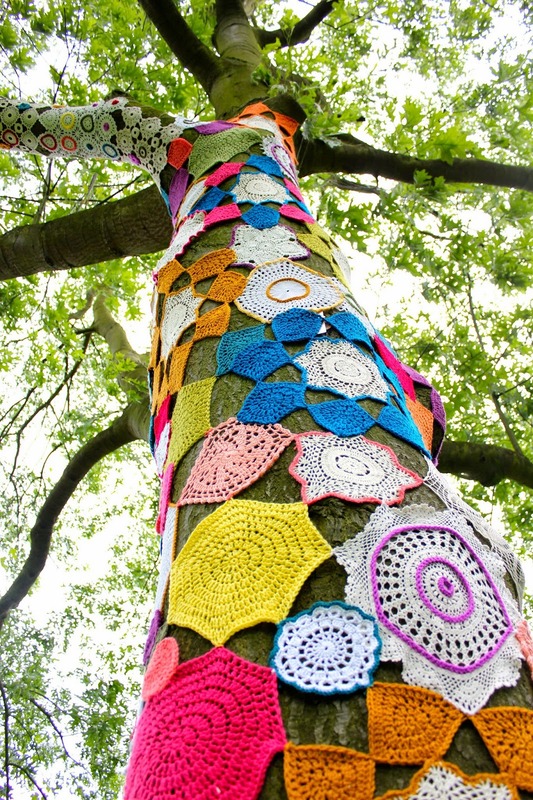 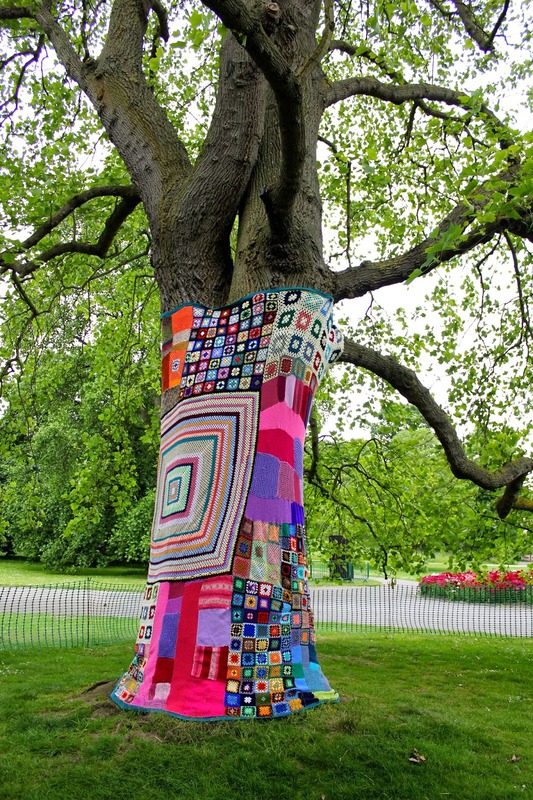 We are really pleased to have been commissioned by Kew Gardens to create tree cosies for their summer festival, Plantasia. 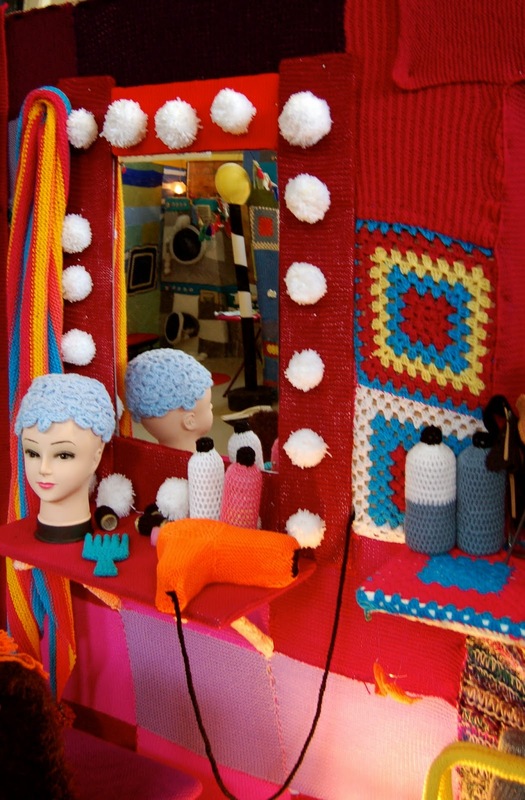 All the cosies are now installed and the festival opens tomorrow. 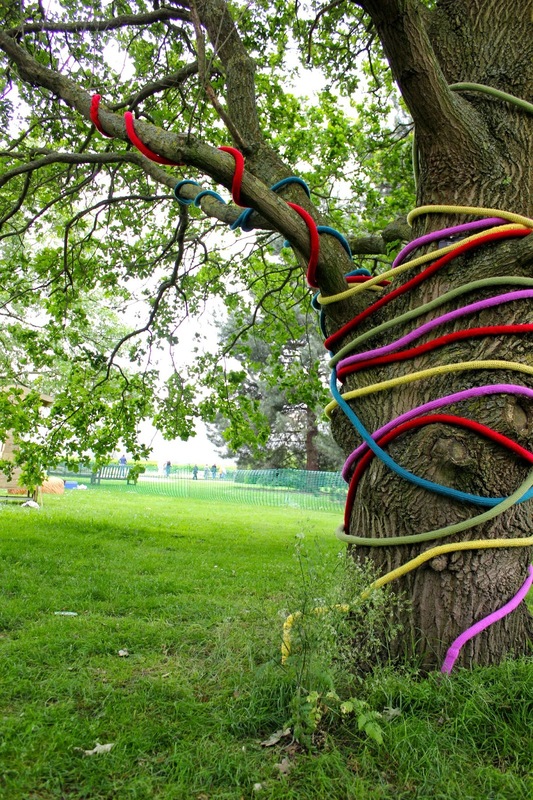 The festival is an opportunity to immerse yourself in nature’s healing sanctuary and experience the stimulating and transformative power of plants; from barefoot walking trails, to home remedy workshops. 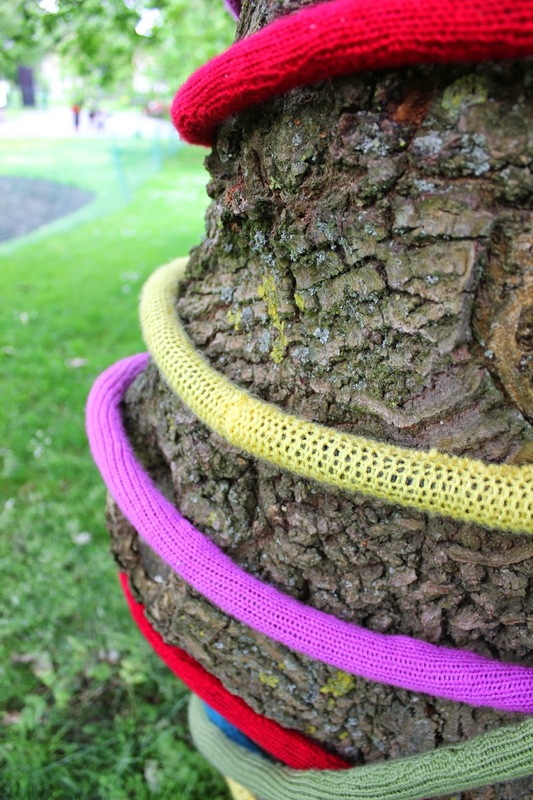 See how life-enhancing plants and fungi affect human health in mind, body and soul, then, visit our knitted vine tree and vote for your favourite plant by adding to the vines.